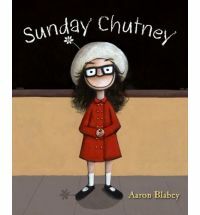 Sunday Chutney has lived all over the world. What a wonderful life, to have seen so many things and been so many places. The thing is with all the moving around she’s never really had a place she can call home and is always the new kid in school. This may or may not be a problem for Sunday. This is a short story about likes, dislikes, moving, home and being true to yourself. Sunday is a little different and a little funny. I really like her. There is not a lot of text, accompanied by simple yet wonderful illustrations and it may present the opportunity to talk about several different topics, should you wish to do so. This is a CBCA shortlisted book.